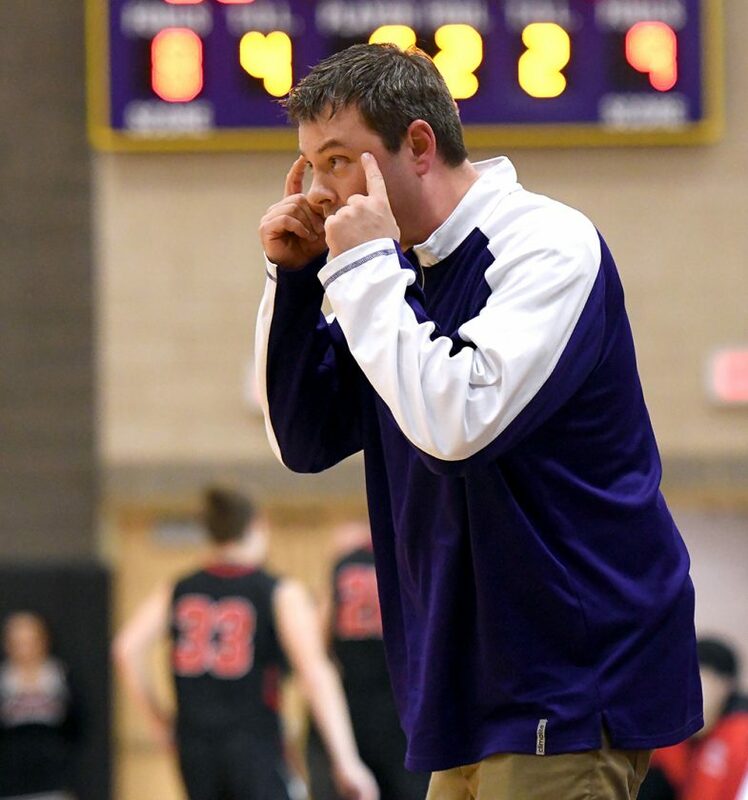 WEBSTER CITY — Webster City couldn’t hit water if it fell out of the boat, or something along those lines, for 181⁄2 minutes Friday night. 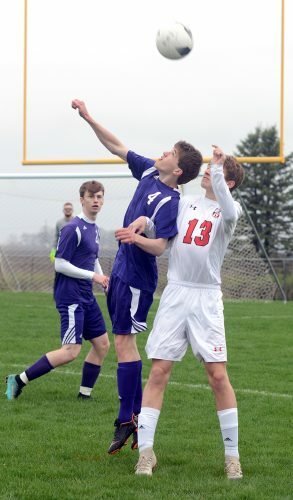 Algona’s defense was stingy enough, but the basket was acting as a sixth defender as the North Central Conference showdown moved into the third quarter. WCHS needed someone, anyone, to break the spell. And that’s when Tavis Eklund stepped out of the shadows. Eklund, a sophomore reserve guard, ended the Lynx 0 for 9 slump from behind the 3-point arc with 5:30 remaining in the third and he canned three more to help the team turn away Algona, 45-40 in overtime. Tied at 35 at the end of regulation, WCHS (14-6, 11-3 NCC) went 8 of 13 at the free throw line in the four-minute extra session and limited Algona (10-9, 8-4 NCC) to just one field goal — a 3-pointer from Wyatt Wegener with under five seconds remaining on the clock. 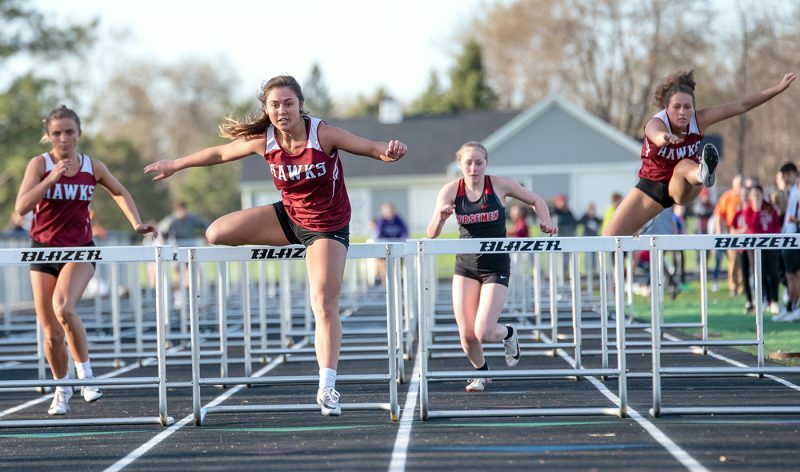 The Lynx clinched sole possession of second place in the league behind top-ranked (Class 3A) and champion Clear Lake. WCHS head coach Marty McKinney never expected the day to come where he would celebrate a second-place finish, but he said his players deserve to be proud of what they accomplished. WCHS began the season with three losses in its first four outings, and just like that expectations crashed quicker than the stock market in 1929. But Eklund says the players never doubted themselves. Steen led the Lynx with 15 points and Henry Hoversten supplied 12 and seven rebounds on Friday. Tyler Olson was limited to just two points — he swiped the ball at the top of the key and went in for a layup just 40 seconds into overtime to put WCHS in front to stay — but he also limited Algona leader Collin Bleich to just five points. Wegener led Algona with 12 points. The defense-first philosophy of both teams led to a combined 27 points in the first half. Eklund buried three 3s in the third quarter to help WCHS jump in front, 25-22. Following two Hoversten free throws, the Lynx owned a 34-30 edge with 2:20 remaining, but offensive rebounds allowed Algona to hang around. Spencer Nelson buried a second-chance 3 from the left corner to get the Bulldogs within 34-33 in the final minute. It was 35-33 WCHS when, following another offensive carom, Wegener drove from the right wing and laid the tying bucket off the glass with eight ticks remaining. 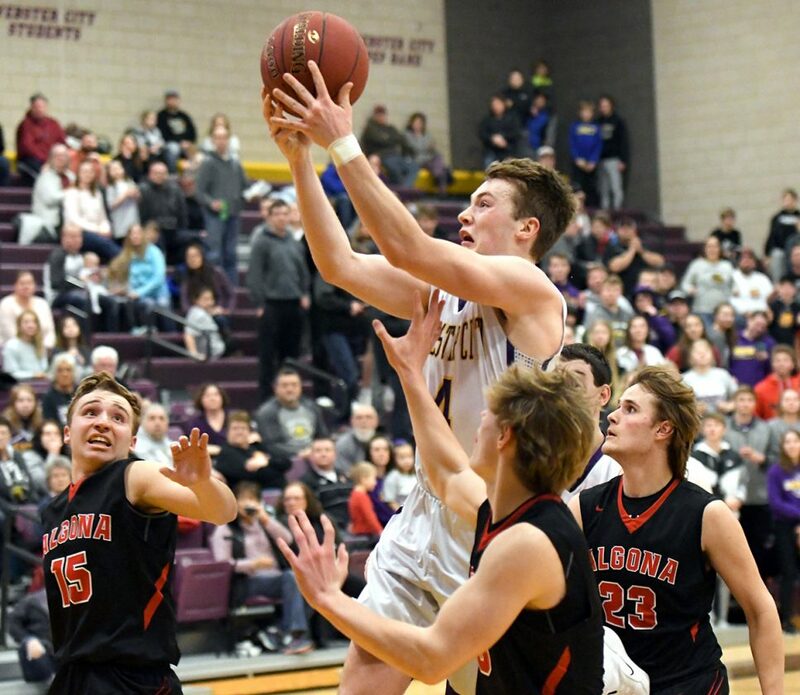 Hoversten, Steen, Eklund and Drake Doering combined to drain seven consecutive free throws in the final 53 seconds of OT to put the game out of reach. 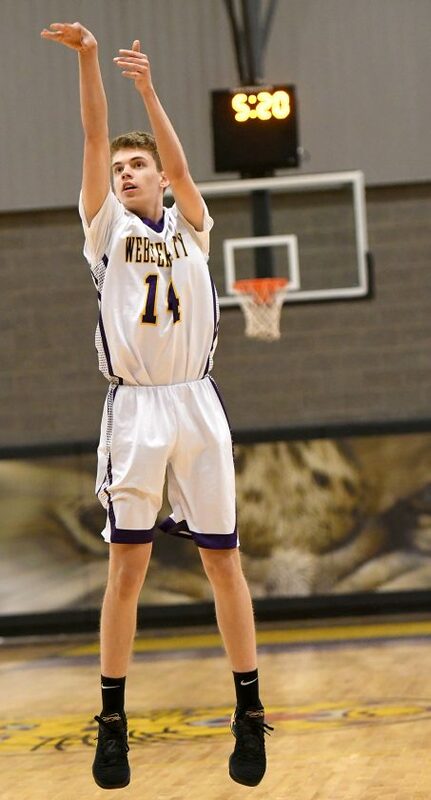 WCHS shot just 36 percent from the floor (13 of 36) and 25 percent from behind the arc (5 of 20). 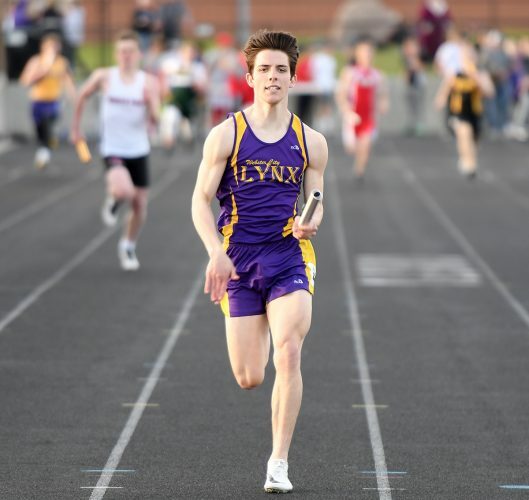 The Lynx will conclude the regular season at home against Boone on Thursday. 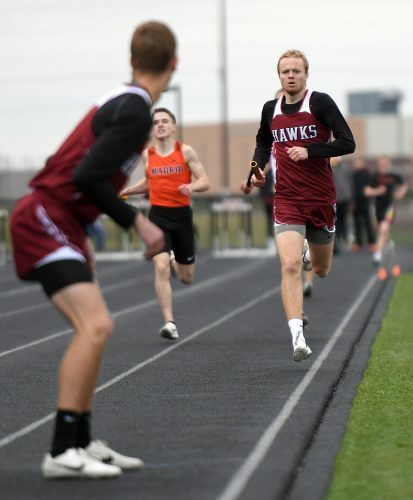 Algona (10-9, 8-4 NCC) — Wyatt Wegener 5 0-1 12, Collin Bleich 2 0-0 5, Spencer Nelson 2 0-0 6, Skyler Groen 1 1-2 3, Spencer Holmes 2 4-4 9, Noah Nelson 0 0-0 0, Jason Cecil 0 3-4 3, James Wartick 1 0-0 2. Totals: 13 8-11 40. 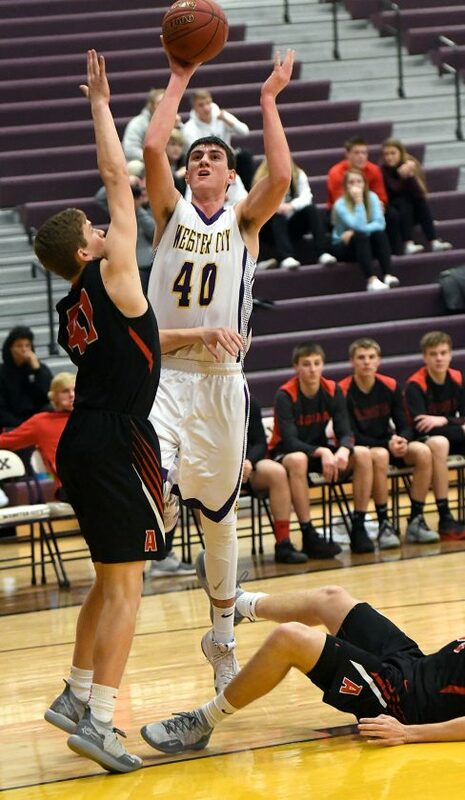 Webster City (14-6, 11-3 NCC) — Dylan Steen 5 4-4 15, Drake Doering 0 1-2 1, Nathan Ferrell 0 0-0 0, Tavis Eklund 4 2-2 14, Tyler Olson 1 0-3 2, Carter Neuroth 0 1-2 1, Henry Hoversten 3 6-7 12. Totals: 13 14-20 45. 3-point field goals — ALG 6 (Wegener 2, S. Nelson 2, Bleich, Holmes); WC 5 (Eklund 4, Steen). Rebounds — WC 32 (Olson 9, Hoversten 7). Steals — WC 3 (Doering 2). Assists — WC 5 (Neuroth 2). Turnovers — WC 10. Team fouls — ALG 19, WC 13. 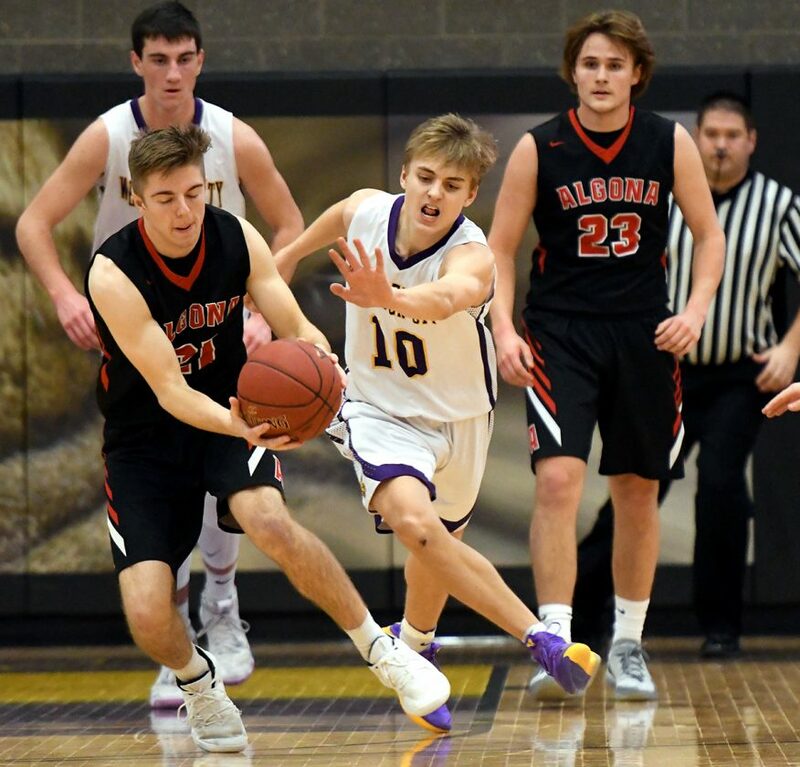 Fouled out — ALG: Bleich.